Ask most teens and they will tell you that acne creams are a vital part of their existence. The same is true for many adults. Before you go out and purchase these wonder fixes, know what is best for your skin. Before purchasing any sort of acne cream or skin care product in general, it is important to know your skin type. This will help you choose the most effective products for your skin concerns. People with oily skin should opt for lightweight lotions and gel-based products, while those with dry skin should look to thick creams. The sensitivity of your skin should also determine the concentration of active ingredients in the product you choose. The more sensitive your skin is, the lower concentration you will need. If you choose an acne cream that is too strong, you can actually make your blemish issues worse by drying out your skin and increasing oil production. This action will be counter-productive to your skin care goals. Many individuals have determined that using creamy acne products as a preventative method helps their skin; however in actuality this is rarely true. These products are not meant to be used all over the face on an everyday basis. Instead, they are meant for spot treatment and irregular use. Using some acne creams on a daily basis can ruin your skin, so make sure that you read the included product instructions carefully. When it comes to the top acne products around, medicated brands are the way to go. Medicated items contain ingredients that dry and exfoliate the skin simultaneously. If you are unclear about which ingredients are right for your skin, then it is best to consult a dermatologist before beginning self treatment. According to many satisfied customers, some of the best brands for acne creams include Clinique, Clean and Clear, and Biore. If your condition is exceptionally bad, a dermatologist can prescribe an acne cream that is more effective than these over-the-counter options. 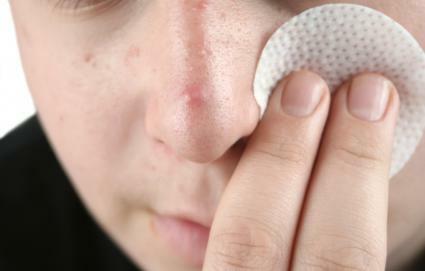 You may consider these other acne products. Remember, just because a product has a higher concentration of active ingredients does not mean that it is best for you. It is all determined by your skin type and what works well for you personally. Everyone is different, which is why visiting a dermatologist is highly recommended in order to save yourself a lot of time and expense. Many consumers are interested in natural skincare, both for greater environmental concerns and in the interest of using more wholesome ingredients. Using ingredients that naturally occur in nature, such as vitamin E, aloe vera, and grapeseed, these products may not treat acne as quickly as traditional treatments. However, they can be soothing and beneficial to your skin in the long run. Though "natural" may seem trendy and appealing, it is important for people with sensitive skin to still be aware of what they are putting on their skin. Natural products can cause allergic reactions just as easily as traditional products, so be sure to conduct spot skin tests on the inner wrists or neck before use. If redness or irritation develops, make note of the product's active ingredients. No matter which route you take, with a little perseverance and patience, you can find an effective treatment for your acne. No one should have to live with the inconvenience and embarrassment of blemishes and facial skin irritation, so consider the vast selection of facial creams available today. If your best efforts fall flat, seek medical attention from a dermatologist, who can prescribe you with a stronger treatment formulated for stubborn acne.